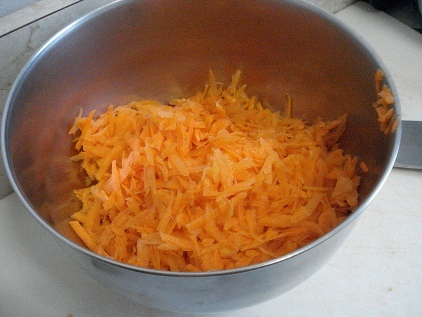 I usually make this Ginger Carrot Salad recipe when I find organic carrots on sale. I incorporate it into our meals throughout the week as our fresh vegetable. It is really easy. The fresh ginger dressing, however, is a little pricey–but it is totally worth it, and it makes the salad! Shredded carrot salads are colorful and appealing too–even to your picky eater. Give this one a try. Let the kids help in making the salad, and they will probably be more willing to see what it tastes like. Combine carrots and dressing and serve! So easy. walmart – mt. juliet had organic carrots for .88 a bag a couple of weeks ago. not sure if it was a “sale” or just a regular roll-back price. What is in the “fresh ginger dressing”? I’d like to try to make it myself.